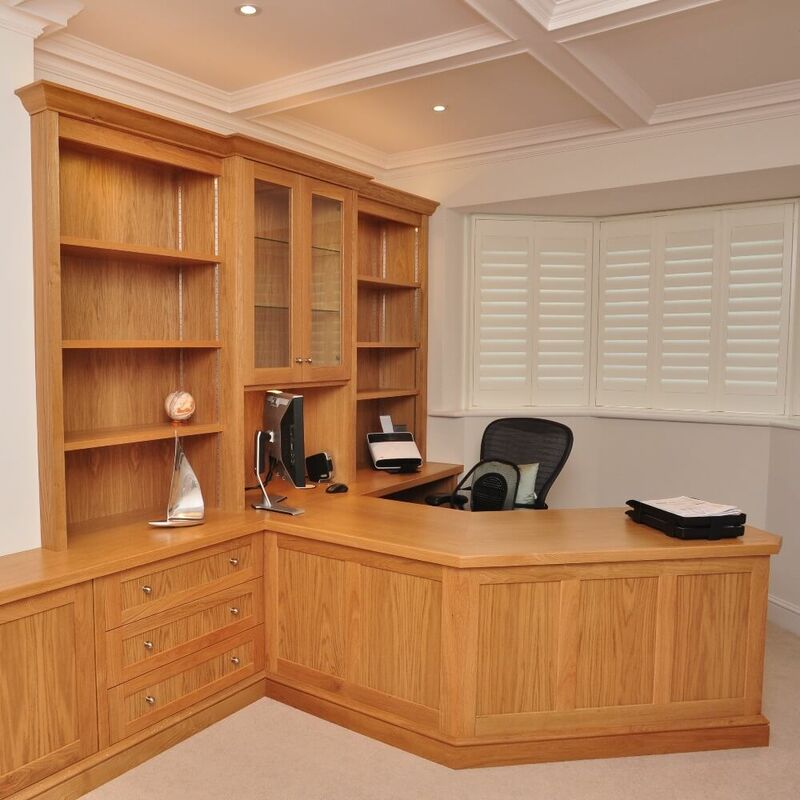 This custom made fitted Oak office desk has been cleverly shaped to make use of the available space within a room with a bay window. 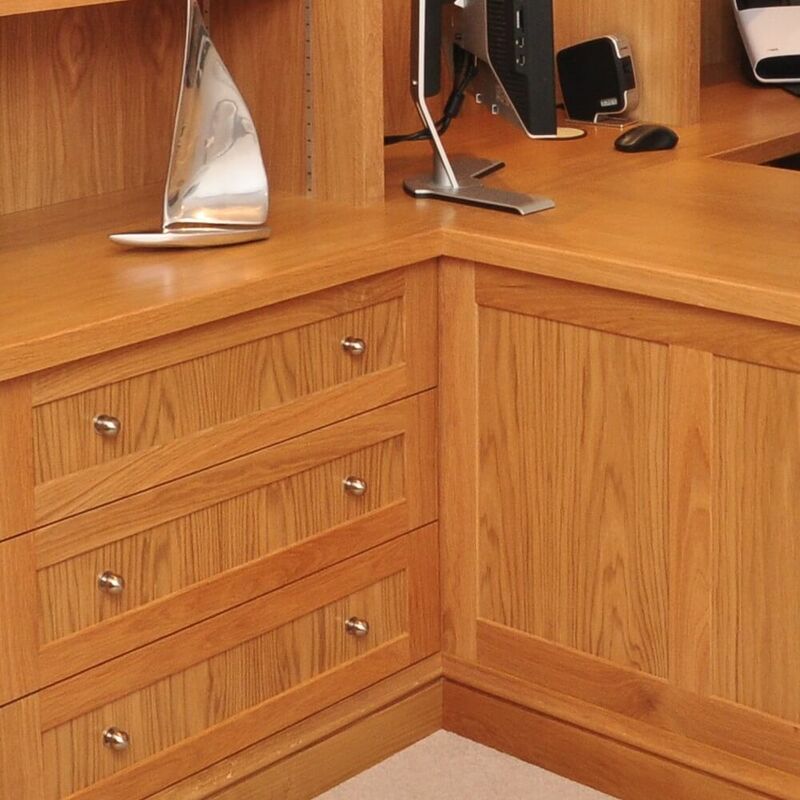 The Oak home office bookcase fits snugly into the recess making full use of the wall space. 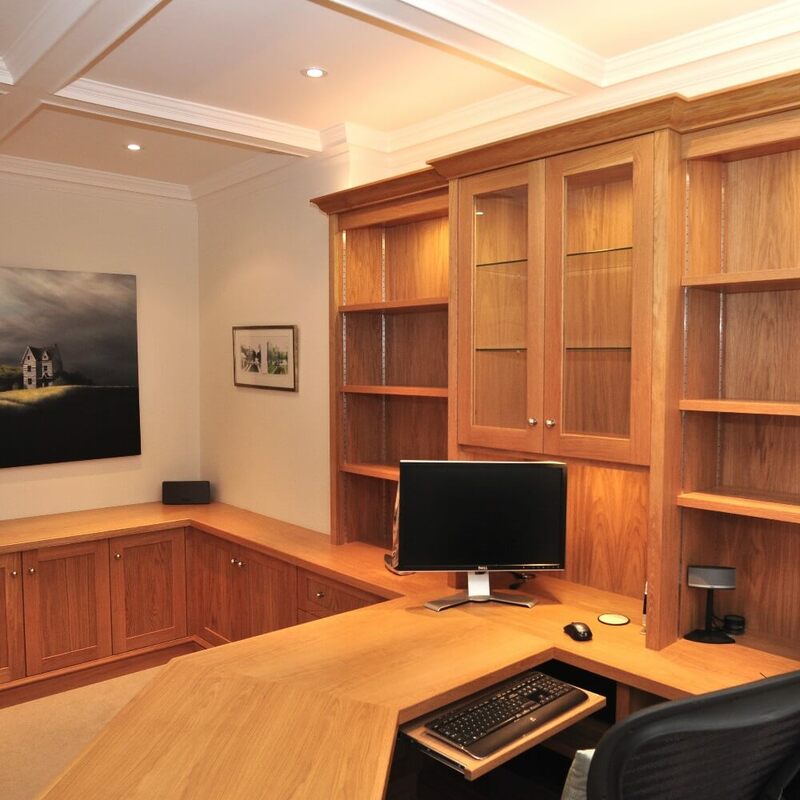 Oak fitted cabinets complete the look of this functional home study. Whether you opt for the warm tones of solid oak or a rich chocolate walnut, wood has lots of character. If you look at the grain you will see different hints of colour which can really enhance a room's interior decor. Choose from a variety of finishes and materials.